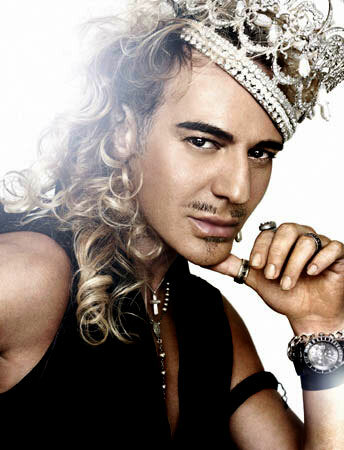 Early 2011, successful and talented grand artist John Galliano is fired from his creative director position at Dior following his drunken allegations of anti-Semitism against Italian women in a bar in les Marais, Paris. And later, he suffers from the same fate at John Galliano, his namesake brand, which is majority-owned by LVMH who is also Dior’s major stockholder. Galliano’s fall from grace was nurtured by his achievements, his honors, and his reaction as a result. Galliano collects his first award of British Designer of The Year from Joan Collins in 1987. In 2009, Galliano receives the French Legion of Honour. Under a decree signed by President Francois Hollande, the honor was revoked, due to the Paris Courts' decision that Galliano was guilty of making anti-Semitic remarks. 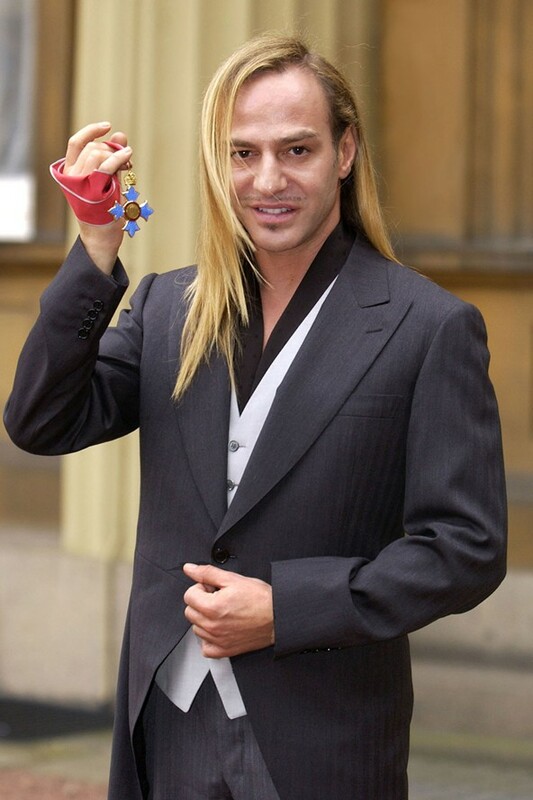 Galliano no longer has the right to wear the French Legion of Honour medal. Galliano also mentions that he was in a state of denial all along and that he had been ignoring his feelings, physical and mental health, “When everyone came over to tell me I had done these terrible things, I was walking round and round and round not really knowing what had gone down,” he explained. Galliano never thought he was an alcoholic because he thought he could control it. The designer appeared to the show wearing a sleek ponytail and a restrained blazer and shirt, which is untypical of his usual exuberant costumes. “I am trying to make amends,” he said, “ have upset many people. I need to reach out them… I hope through my atonement I will be given a second chance,” said a penitent Galliano. Throughout his recovery, Galliano has been making tiny little steps to mark his comeback in the fashion industry. 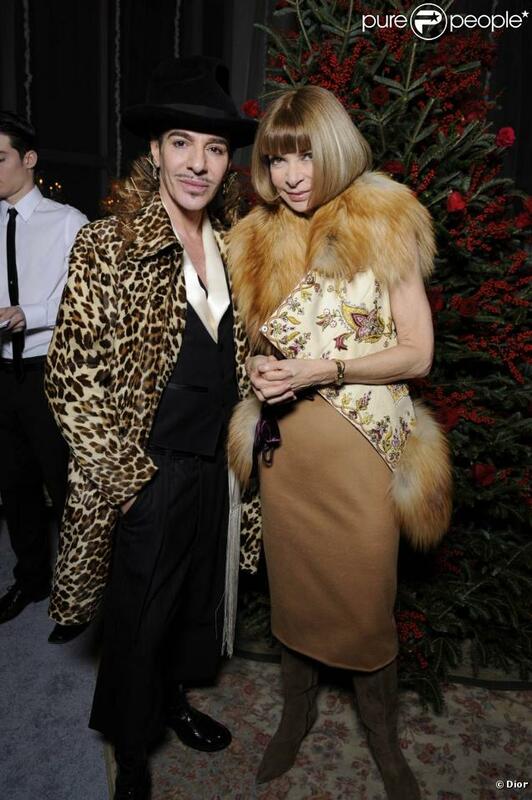 Anna Wintour is Galliano's major problem solver in his career. She has helped him deal with bankruptcy before he moves to Paris in the early 1990s and has lend him the opportunity to reside temporarily at Oscar De La Renta's studio last winter for his ready to wear fall/winter 13-14 collection. Scandals aside, I firmly believe that John Galliano deserves a second chance, because he has talent like no other and he has become aware of his past issues and the consequences others have put up with as result.